Edward from the Twilight saga got a new face (while Bella got the old and worn out Mackie closed mouth). This is the most handsome sculpt Mattel ever made! Just look at the Harley and the Bascics below. M-mm-mmm-mmmm! A square jaw, sculpted cheek bones and a closed mouth. 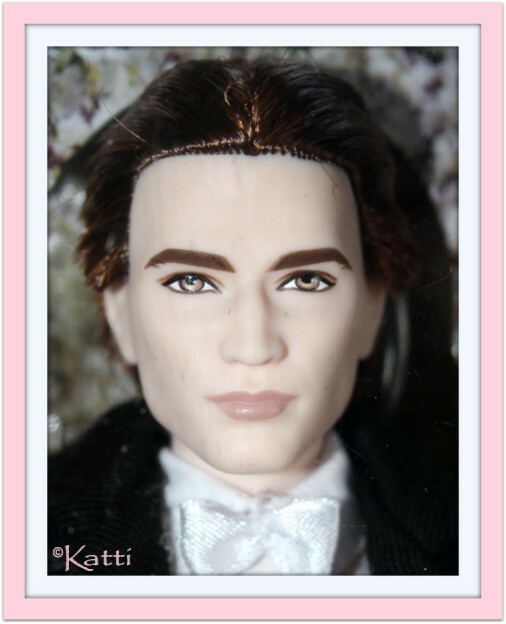 As said above, the Twilight Saga Edward for the first doll to use this face and the sculpt go by his name. 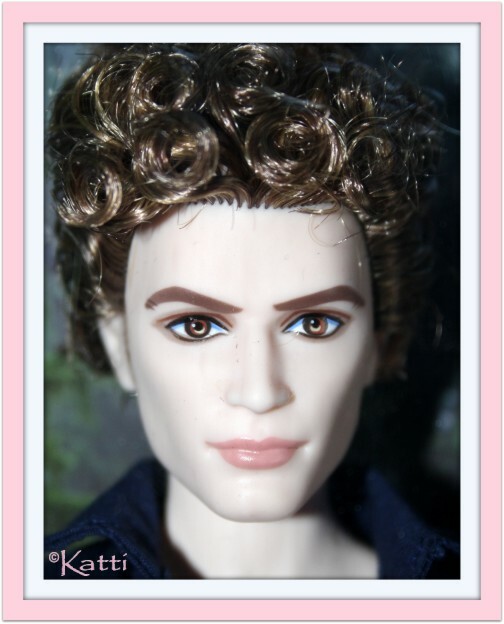 All the Edward dolls has the white skintone all the Twilight vampires has but the first edition Edward also has that glitter feature we get to know in the books and movie.  Only his head and upper torso glitters, though (thank heavens). He has the Cullen Clan amber colored eyes, not red as other vampires. 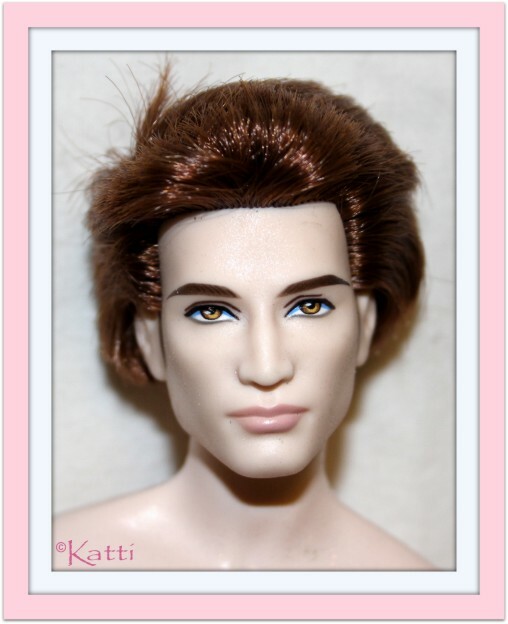 His hair is a rooted auburn and his brows are detailed. Jasper from Twilight also was made with the Edward sculpt. His eyes have a more reddish tone to them, showing his harder-to-resist-human-blood thoughts and cravings and he has golden hair in huge curly locks, vs Edward's straight auburn hair. And the hottest of them all. Harley Ken. This guy is so awsome it's hard to even begin describing him. 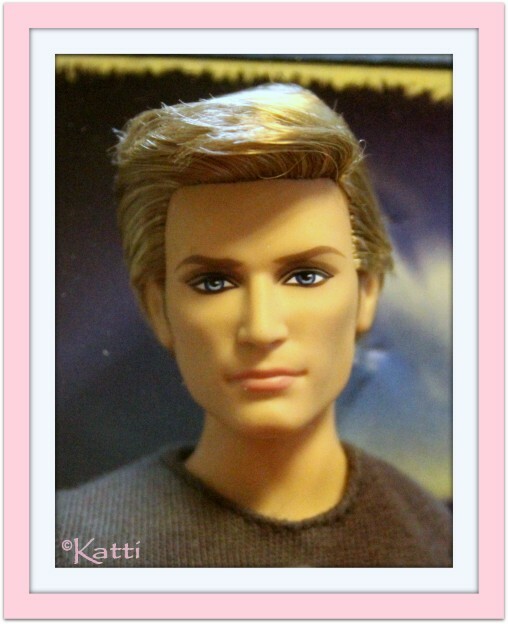 He was sold in a Gift Set with Barbie (an Aphrodite doll for a change) and he has a male pivotal body - ea articulated Male Model (Muse). He has a tattoo on one of his arms. His hair is rooted blonde to those incredible icey blue eyes. They hardly come more awsome than this. 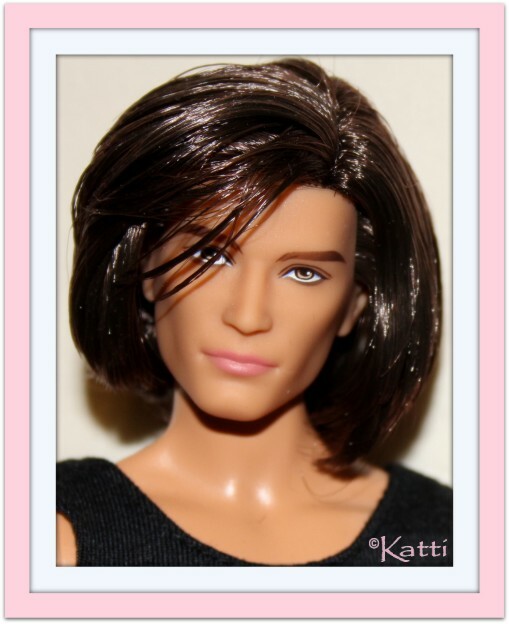 And the second best doll, in my opinion is the Basics Model No 15. One of three boys, released, sadly enough in the Jeans Collection only, Model No 15 is a handsome brunet with gorgeous brown eyes. This guy hangs out with me next to my computer. Just have to have him close. Who can resist that look?